Alison Shaffer: THE SPIRIT OF GOD, ILLUSTRATED BIBLE giveaway. Plus get a sneak peak at the illustrated pages from the book. 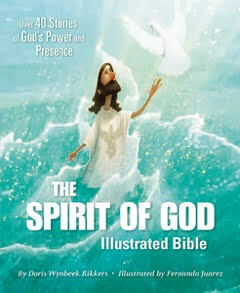 THE SPIRIT OF GOD, ILLUSTRATED BIBLE giveaway. Plus get a sneak peak at the illustrated pages from the book. The season is changing to Autumn and I feel like life slows down a bit. I know there are tons of activities going on after school, and homework, and errands, and birthday parties. But the end of the day was always a special time for reading a story or two to the girls at bedtime. Even better when they learned to read on their own and I could listen to the story. I still have my first Bible, it's a keepsake. Not so many pictures in my Bible, and they are in black and white. However, take a look at this new illustrated Bible. I love children's books, plus while you read to your kids or they read to you it's a perfect way to see God's Spirit at work in the stories. Head on over to the publisher's web site to see tons more on the book. 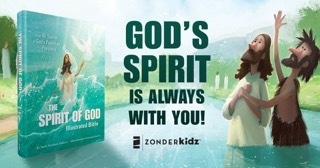 Makes a special gift: A colorful, well written, and illustrated book, THE SPIRIT OF GOD is a good book to open up at bedtime, a great gift idea for Christmas, Easter, Birthdays, Sacraments, Bible School, and Sunday School or donate a copy to your Church or Church School. GIVEAWAY: enter the rafflecopter widget for your chance to win a copy of THE SPIRIT OF GOD, ILLUSTRATED BIBLE. One random winner will be chosen, validated, and sent their copy of this book. Must be 18 and older to enter. Open to residents of USA. See disclosure below also. a Rafflecopter giveaway Many thanks to Propeller Consulting, LLC for providing this prize for the giveaway. Choice of winners and opinions are 100% my own and NOT influenced by monetary compensation. I did receive a sample of the product in exchange for this review and post. Only one entrant per mailing address, per giveaway. If you have won a prize from our sponsor Propeller/FlyBy Promotions in the last 30 days on the same blog, you are not eligible to win. Or if you have won the same prize on another blog, you are not eligible to win it again. Winner is subject to eligibility verification.